I have seen business models come, go and change over the years. Before, brick and mortar businesses dominated the market. Entrepreneurs needed a physical set-up where people go to avail of their products and services. These stores still continue to thrive in the market today, but it’s also noticeable that being on ground alone doesn’t cut it on the competitive landscape of doing business. 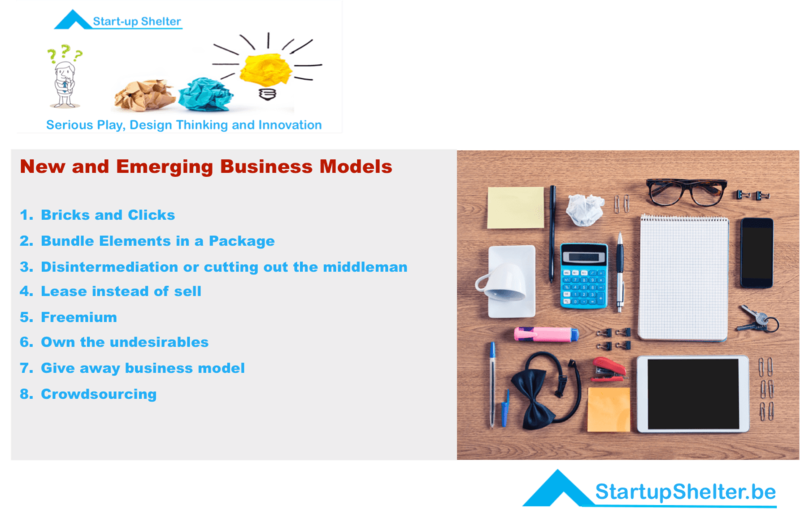 Before we dig any deeper on the new and emerging business models, let us first try to understand what the phrase is all about. While there are several eloquent definitions of a business model, simply put, it is the strategic structure of how you conduct business. It encompasses a lot of things – how you reach out to your consumers, how you price your product and services, how you sell, market, distribute and offer customer service and satisfaction. A business model describes how an organization creates, delivers, and captures value. Source Business Model Generation, A. Osterwalder & Yves Pigneur. And if we take a look at the business models of today, we will notice that most, if not all of them, is technology-driven. Owing to the fact that technology can bring you closer to your target audience, entrepreneurs are building their models around this concept. I think we can’t help the technological revolution; it’s here to stay and driving our day-to-day affairs whether we allow it or not. Coping with the ever-changing technology can be a challenge, but if used the right way, entrepreneurs will find technology very helpful in generating profit and sales for their businesses. Sometimes referred to “click and mortar” I like to think that this business model is the upgraded version of the brick and mortar business model. It integrates the on-ground (bricks) and online (clicks) presence of the business. Several companies like Delhaize, Belgacom, Home Depot, Tesco… have adopted this kind of business model in response to how technological innovations, such as the internet and telephone, is affecting the way we shop for products and services. Most of the fast food establishments apply this model wherein a customer can order online or via a phone call and have the product delivered or picked up in one of the branches. This business model makes the customer purchasing experience simpler by packaging related products together. iPod and iTunes is a good example. 3 – Disintermediation or cutting out the middleman. It is a business model that surpasses and removes the need of a middle man for business transactions. The rise of internet has allowed consumers to shop directly from the manufacturers and suppliers in lesser price and not go through wholesalers and retailers who mark up the price of the products or services. It shortens the supply chain so that end-users can quickly place an order or make a purchase. This business model has a made a huge impact especially on the computer industries. For example, Dell and Apple have taken the stride of selling their products to customers straight from the suppliers and manufacturers. 4 – Lease instead of sell. Rolls-Royce aerospace motors and Xerox are great examples that allow customers the opportunity to pay for performance. In this case you pay per flying hours and per copy. It is a business model more applicable to software products. It gives the first, incomplete or lite version for free and charges the consumer once he decided to purchase an upgraded or complete version. This model is often used by anti-virus companies, computer and internet gaming companies, as well as in application offerings in the internet. It relies of consumer satisfaction on the first free version, and by word of mouth or internet marketing. The entrepreneur then makes a profit when the consumers seek for additional features. Skype for example is free to install and download, however, the consumer is charged a fee if he wishes to avail of the three-way video call. Look for segments of the market that may not appear to be directly attractive. Mico-credits banks or services are good examples. These are auctions done through the internet. It eliminates several limitations, such as time, geography and physical presence of the auctioneers and bidders. Ebay is one of the popular auction sites that allow consumers to bid on the price of their desired items. However, auctions are not limited to products alone. Websites such as Odesk and Elance follow this business model where the contractor with the best price offering wins the job. Bricks and clicks. Integrating both on-ground and on-line presence of a business. I believe there is no hard and fast rule for business models. One industry is different from the next. Even businesses in the same industry have their own uniqueness. Entrepreneurs should first apply the basics, such as the right pricing strategy, marketing strategy and customer service, and study how he can create value in his business landscape. New technologies like crowdsourcing and big data are offering a lot of room for growth and opportunities; use it to your advantage.